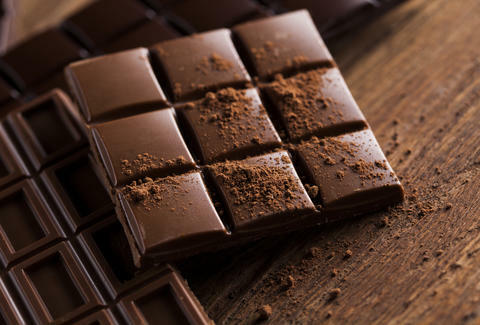 Terrible news for the human race: The experts at the National Oceanic and Atmospheric Administration are saying that by 2050 climate change will seriously imperil cacao plants -- aka, our chocolate supply. Granted, climate change will likely be bringing about a bunch of other horrors at that time, but losing chocolate is at least a 10 out of 10 on the bummer scale. However, a possible solution is being developed. The problem is that Cacao is extremely picky and best grown in rainforests within 20 degrees of the equator. Areas roughly 300 to 850 feet above sea level in West Africa gives us around half of our chocolate. Come 2050, a year that shall surely live in infamy, growing conditions would require an elevation of 1,500 feet, where cultivation would be extremely difficult. Much of that area is also being used for wildlife preserves, so it can't be used for farming. But this weirdly tame disaster movie has a hero: As part of a broader $1 billion investment in fighting climate change, the candy company Mars is working with the University of California on a plan to save chocolate. UC Berkely is trying to use CRISPR technology (a way to edit genomes) to modify the DNA of cacao plants to make them better suited to the rising temperatures, which would mean farms wouldn't have to relocate and cacao could still be grown, according to Business Insider. The National Oceanic and Atmospheric Administration claims that 89.5% of land used to cultivate cacao will not be suitable by 2050. While we're waiting on those genetically modified plants, it's recommended that farms focus on specific breeds of cacao that are resistant to drought and explore other growing methods. Maybe you believe scientists will save the day, maybe you think this is the end of chocolate as we know it, but it can't hurt to start hoarding a lifetime supply. James Chrisman is a News Writer at Thrillist who is also worried about what shape he'll be in come 2050. Send news tips to news@thrillist.com and follow him on Twitter @james_chrisman2.